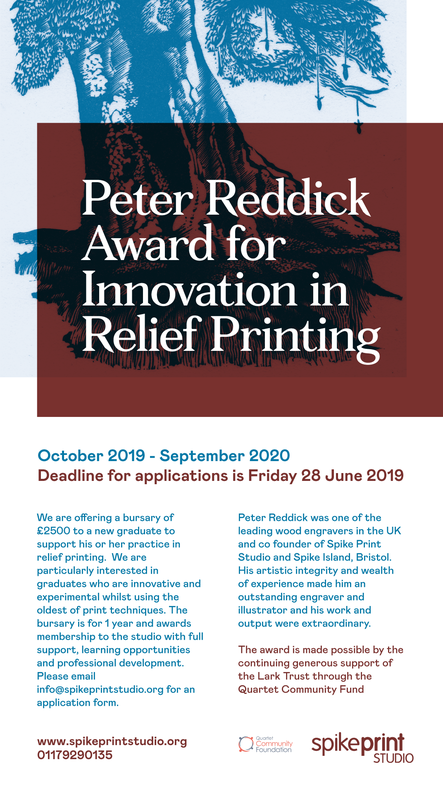 We are offering a bursary of £2500 to a new graduate to support his or her practice in relief printing. We are particularly interested in graduates who are innovative and experimental whilst using the oldest of print techniques. The bursary is for 1 year and awards membership to the studio with full support, learning opportunities and professional development. Please email info@spikeprintstudio.org for an application form. Peter Reddick was one of the leading wood engravers in the UK and co founder of Spike Print Studio and Spike Island, Bristol. His artistic integrity and wealth of experience made him an outstanding engraver and illustrator and his work and output were extraordinary.